I bought a big packet of felt sheets from Art Friend for $10 over dollars, thinking of doing some felt crafts with DinoBoy as part of the Advent Activities. However, he's been feeling under the weather and craft is the last thing in our mind. However, not wanting to put the felt sheets to waste till later (high chance that its going to be banished into the store room till perhaps next Christmas), I gather them with my sewing kit and sat down to do try to do something for the Christmas tree. 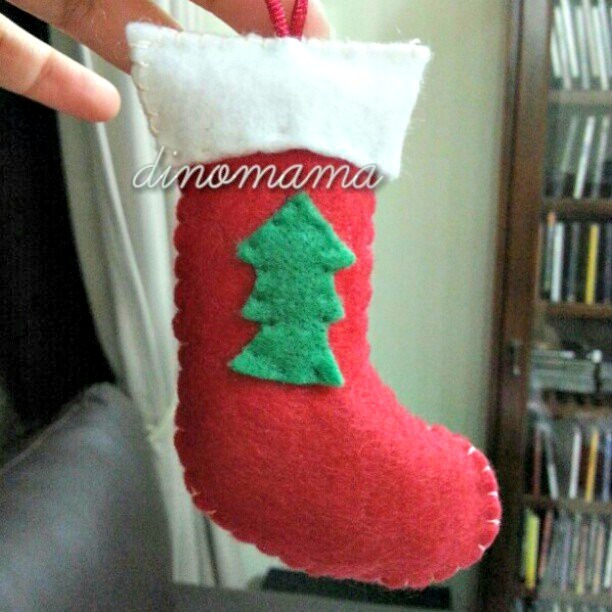 With nothing in mind, I thought I'd start with the easiest; a Christmas stocking. I imagine the stocking in my mind and just dived in to cut out the pieces. An hour later its done! Without any templates or drawing on the felt and cutting the pieces base on my feeling, I was surprised how well it turned out! Feeling confident, I went ahead to do another one, the snow scene was done in an hour too. 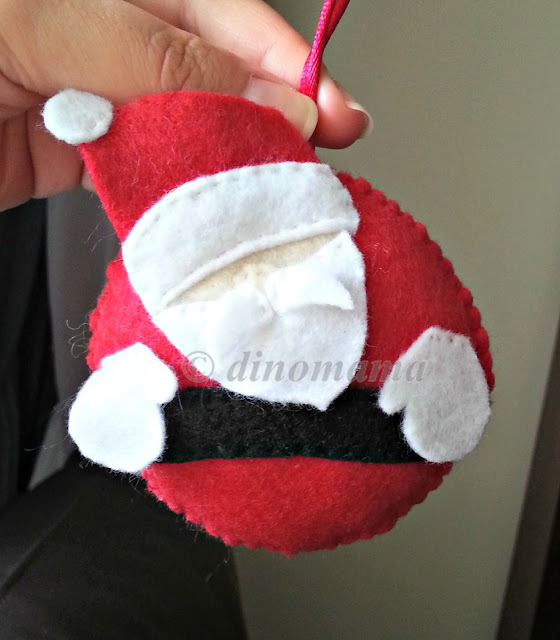 In fact, except for the Santa Claus, I did the ornaments in roughly an hour. 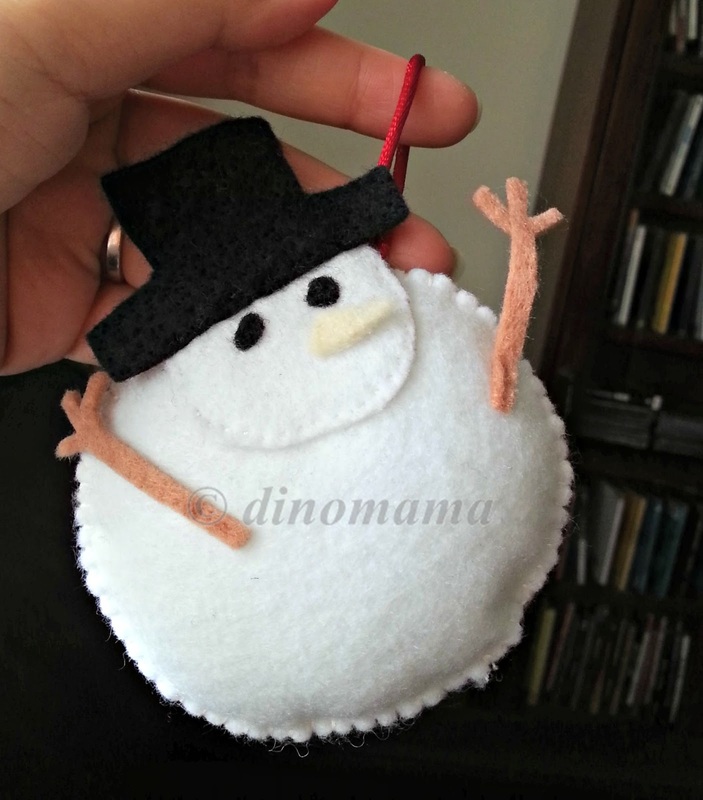 Within a week, I have 5 beautiful felt ornaments to hang on our Christmas tree. 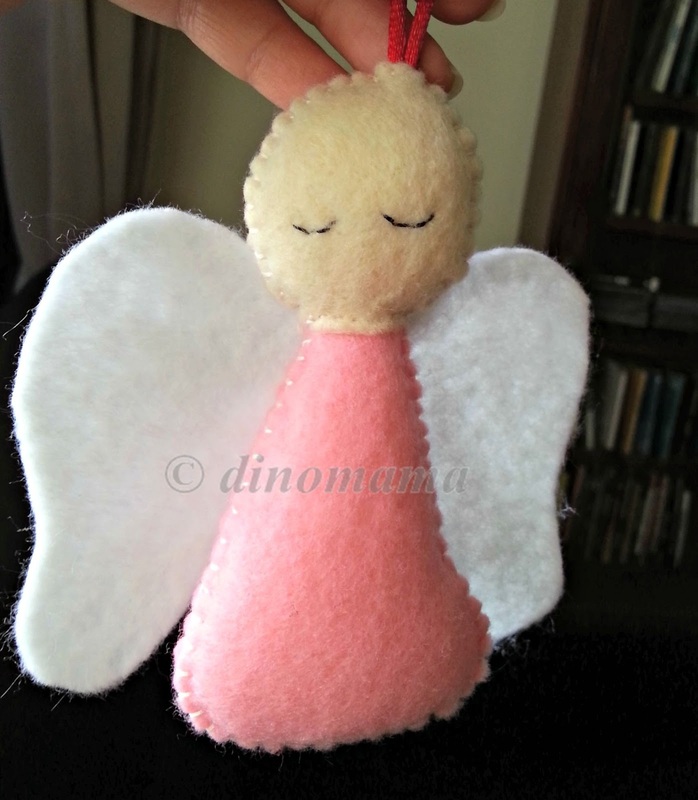 Even though they look a little bit out of shaped; especially the Angel who is missing a halo and perhaps some hair, and not beautifully sewn, they brighten the tree up. What's more, DinoBoy adores then and want them to accompany him to sleep. 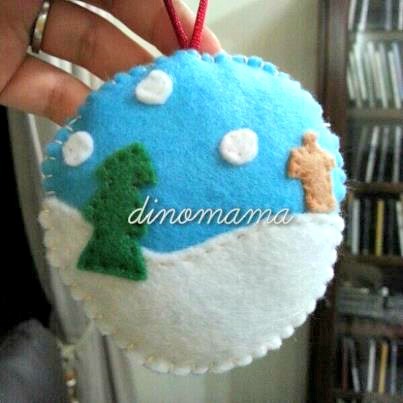 And then DinoBoy asked "Mummy, when are you going to make a soft toy for me?" Ok... big project... Let's hope he will forget about it. 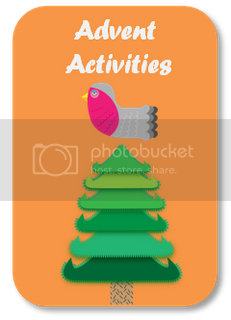 This activity is part of an Advent Activities series where we aim to share on a daily basis the various activities we are doing as we lead into Christmas! Pls do not try to "encourage" me to sew soft toy! 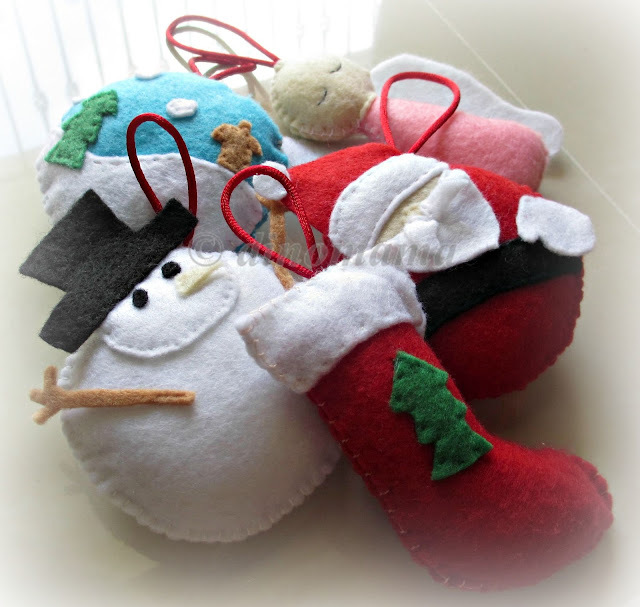 My next project for this week is.... x3 Stockings! Dunno if I can make it or not. arh.... eh.... what small one?? No... procrastinating till he forgets about it. oh wow! these are gorgeous!! Do you use sewing machine? or was it by hand? I don't have a sewing machine but if you do it by hand I may try to make them as well :) Great inspiration! Try it out, you will have fun doing it and the sense of accomplishment after that.